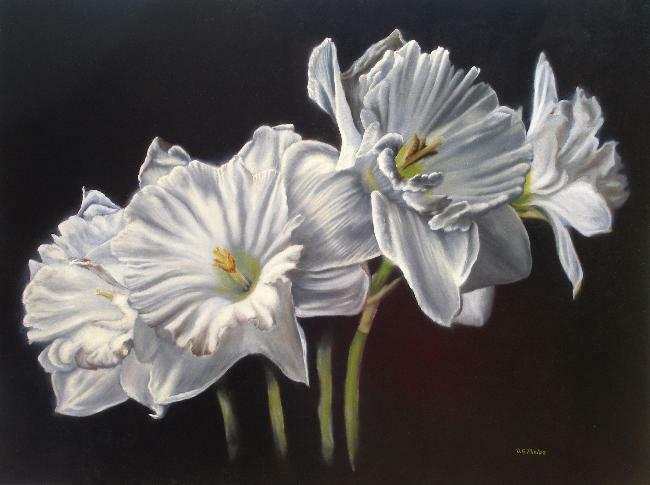 White daffodils oil painting. A dramatic display of this spring flower. 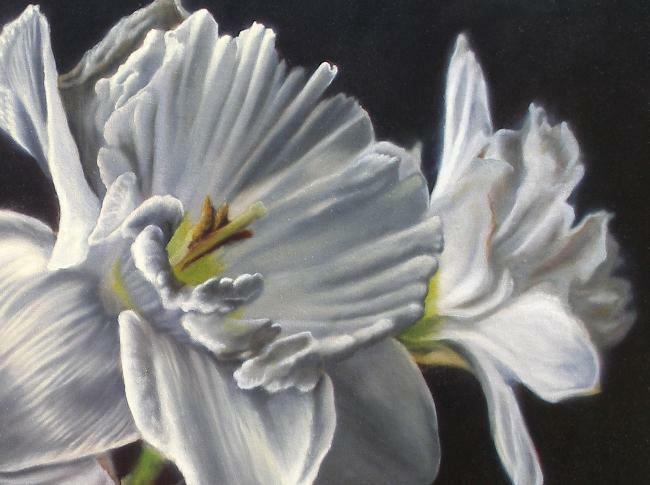 Lets talk a little about white daffodils before we get more into the painting below. Most flowers have a meaning behind them. Some of this has grown through tradition, some has grown through the floral industry. It really doesn't matter where a flower picked up its meanings, just that in today's society, you want to make sure you're sending the right signals! Right? So what does the daffodil mean? Well, it best represents new beginnings, the rebirth of nature and a sign that spring is upon us! It is also the 10th wedding anniversary flower. So you fella's that are approaching the 10th anniversary date need to remember this! A big display of white daffodils for your wife! HINT - HINT, see below how to get yours now! Chinese legend has it that when you force a daffodil bulb to bloom during the New Year, you will be bringing good luck to your home. One thing you probably have noticed. Daffodils are always given in a bunch or groups of blooms. Why is that you say? A single daffodil bloom is the foretelling of misfortune. Remember that the next time you give a card or picture of the single bloom! Sort a like that bad tarot card. The daffodil gets its genus name Narcissus from the Greek myth. He was a handsome young Greek man who kinda got obsessed with his own good looks. When he saw himself in a pool reflection, he continued to lean in a little closer, and a little closer just lovin up on his self when, SPLASH, he fell in! Coarse, he couldn't swim and therefore drowned. So remember that when one of you yourself or one of your friends is checking themselves out a bit too much in that picture window while out shopping, and remind them of Narcissus. It might keep from walking into the sign post by accident! Or even worse, in front of that bus! Now to the painting itself! 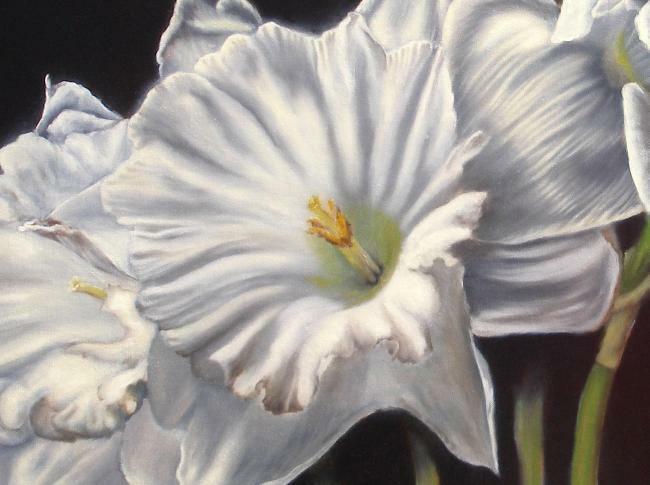 Besides the many meaning that white daffodils represent, this painting also represents the sounding of the trumpets in the last days. A biblical prophesy in Revelations concerning the 2nd coming of Christ. Check pricing and availability here in my Etsy store. These daffodils show a spray of blossoms as they move across the room. 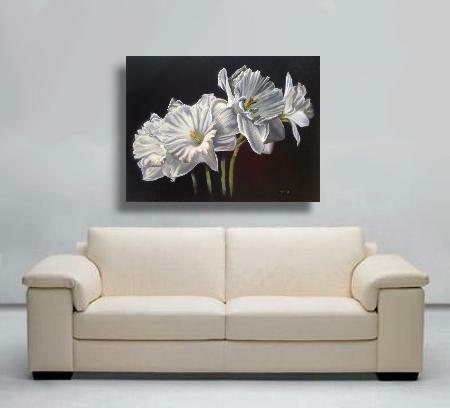 Their glowing white against the dark background makes for a beautiful and dramatic effect and a highlight of any room it is shown in. As it is on gallery wrap, it's ready for hanging out of the box. 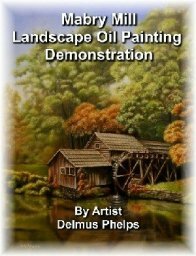 More information on my painting method can be found here. I also talk about my guarantee when buying artwork online.